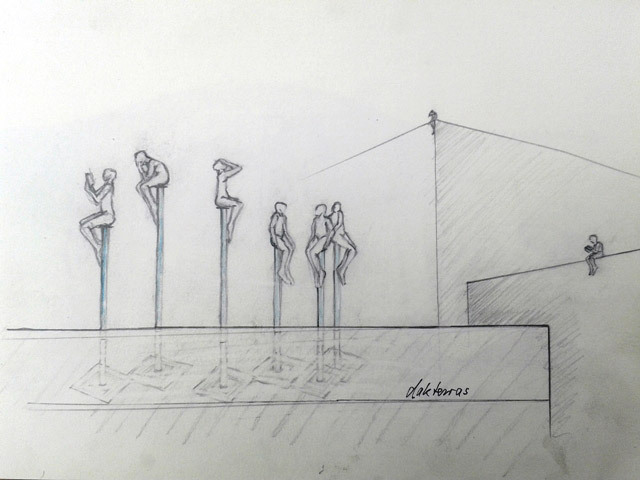 In coorperation with Suus Baltussen, Andreas Hetfeld realizes a group of sculptures that will be placed on top of the roof of Nijmegen’s university. The figures will get a transparent character as they are created by wire mesh and aluminum. The project is commissioned by the university of Arnhem/Nijmegen.